An Annual Tradition: October 4 at 4 p.m. This cheerful event, held on the feast day of St. Francis of Assisi, reminds us all that God created and loves all living creatures! Bring your dog, cat, bird or other pet and meet us outside in front of the main church entrance on Ascan Avenue on Thursday, October 4th at 4PM. 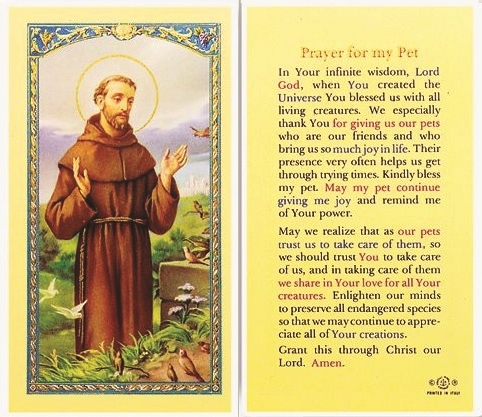 We will have a short service in honor of St. Francis of Assisi and then a Blessing of the Animals for all attending. Please have your pets on a leash or in a secure carrier for their safety.